SAK stands for Stop All Killing Association. We are committed to the building of a world order based on the principle of non-violence. 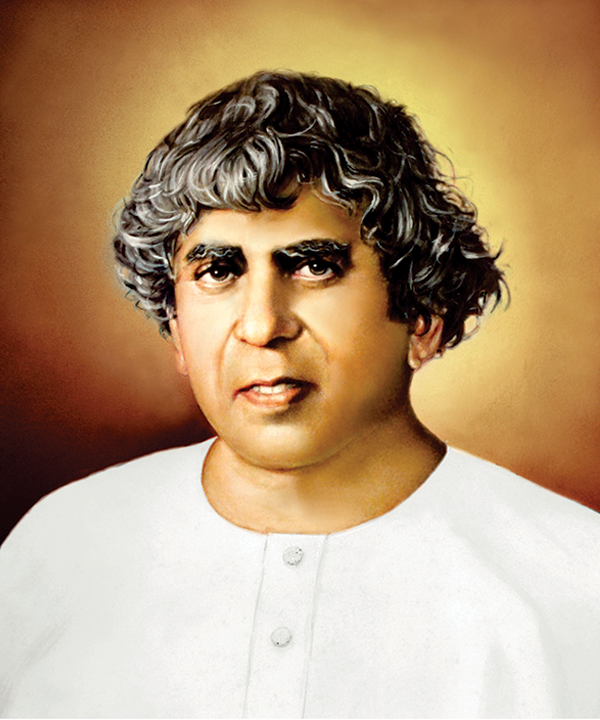 SAK is inspired by Dada J.P Vaswani, spiritual head of the Sadhu Vaswani Mission. 1. To create and foster reverence for ALL Life, in the belief that ALL life must be regarded as sacred. Sadhu Vaswani said:- If indeed, life is one, is not the animal too, my brother? And am I not his keeper? Meat eating will one day be condemned as murder! animals and birds are slain to provide food for man, so long we will not see peace on the face of this Earth. If man kills an animal for food, he will not hesitate in killing a fellow man whom he considers as his enemy. The root cause of world wars is irreverence towards life. Dada J.P. Vaswani says:- Animal Welfare is not the answer, Animal Rights are needed! The first right of every animal is to live. For we cannot take away what we cannot give. cannot give life to a dead creature, we have no right to take away the life of a living one. Sadhu Vaswani said:- All killing is a denial of love. For to kill, or eat what another has killed, is to rejoice in cruelty. brothers and sisters in the One Brotherhood of Life. For me not to love bird and animal would be to not love the Lord. For his children are birds and animals, no less than human beings. How does SAK propagate its cause? SAK has numerous branches and volunteers around the world. Asking people to sign pledges to go without meat on November 25th. Requesting hotels and caterers to refrain from serving meat on November 25th. Marching for Peace across the world on November 25th. articles in the press and banners. Working to get the Government to pass rules and laws that protect animal rights. 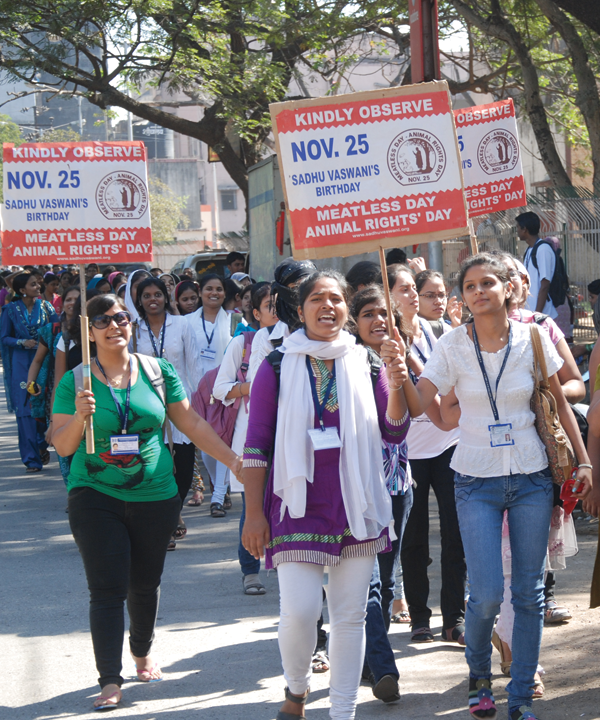 Approaching schools to educate children about the need for compassion towards animals, and the evils of meat eating. How can I help SAK? You can register to Pledge! You can spread the word amongst your family, friends, and colleagues. You can work as a volunteer at any of our centers around the world.